On June 12, 2014, Elon Musk decided to take all this patents for the Tesla and opened them up to the world. On January 24th, 2017, Amazon did something quite unexpected by being nominated for best picture. On February 24th, 2011, Airbnb got their first one-millionth visitor or guest, and almost twelve months later, they had their ten-millionth. What drives this type of growth and is this something that we have to expect going into the future? 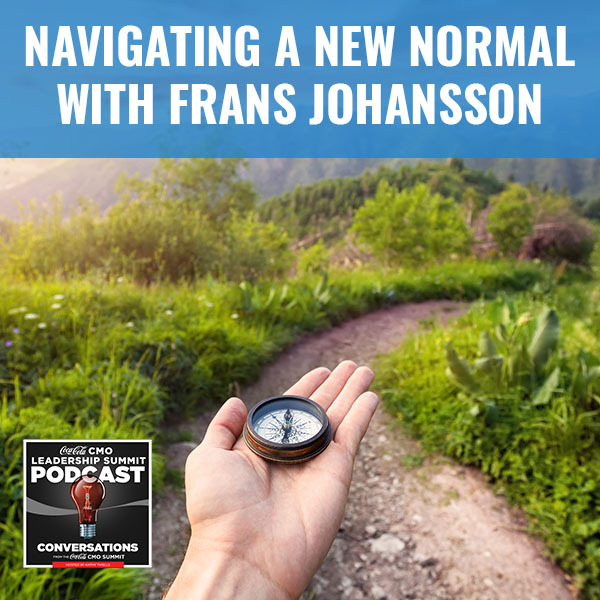 Author and keynote speaker Frans Johansson explores the answers to these questions in order to understand what it is that this new normal is driving towards. 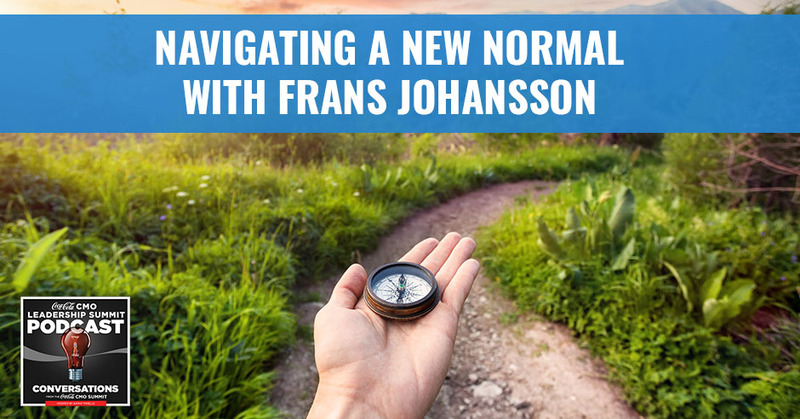 This is the full presentation of Frans Johansson‘s talk titled Navigating a New Normal from the 2017 Coca-Cola CMO Summit. I’m very excited to be presenting to you. Thank you, Coca-Cola, for taking us on this journey into the fourth industrial revolution. I’m going to talk about what it is that is happening that we have to get adjusted to calling it the New Normal. I’m going to take you through what all that means. Before I do that though, I should tell a bit about myself, where I come from. The answer to the question where I came from is my parents. My mother is black and Cherokee and my dad is Swedish. They met in Germany. I was born and raised in Sweden. Something about Sweden, a term I grew up in this country. Sweden consisted essentially of two groups of people. One group was blonde, blue eyed and quite reserved and the other group was me, basically. The Hobbit is my favorite movie. I went to University. I studied Environmental Science for the following reasons. When I did that, I saw something interesting. There are a lot of different scientific researches at this campus, but I never felt the need to pull together the purpose of the research and I want them to do that, so I created a science magazine with that intent called Catalyst, which celebrated its 21st anniversary this year. This is why I started healthcare company based on my research at Johns Hopkins. I had a lot of fun doing that. Then I went to business school at Harvard, started a software company, which did great until it didn’t. When I went out on that downward track, I realized that in my life, whenever I was able to combine the different concepts in my life from the different industries in my life, from the different cultures in my life, I had a better chance of breaking new ground. I wondered, “Are these intersections of cultures and industries the true drivers of innovation?” I decided to research that, which took me falling. I was literally down to my last $2.45. When things started turning around, a book came out and it did quite well. It’s in twenty languages at this point all over the world. 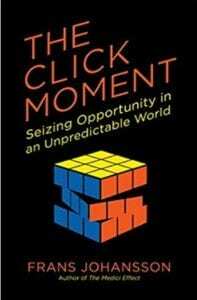 I wrote another book called The Click Moment and started a company called The Medici Group. We have clients all over the world, which is great. In the middle of this, I got married then I moved to Brooklyn. Now, I have two daughter and I’m here with you. That’s my story at this particular point in time. What is happening in the world today? One of the things that I want to explore is to go through a brief moment of history to see where we are now. In order to do that, I want to focus on one particular date, June 12, 2014. That was the date that Elon Musk decided to take all his patents for the Tesla and open them up, give them to the world. He spent a lot of money developing these patents, so why on earth would he just give them away for free? On January 24th, 2017, Amazon did something quite unexpected. That was the date in which they were nominated for Best Picture Nomination. How’s that even possible? How were they able to get to that point where they did that? February 24th, 2011, Airbnb got their first one millionth visitor or guest. Almost twelve months later, they had their tenth million. What drives this type of growth and is this something that we have to expect going into the future? On November 7th in 2007, Nokia reached a stock market valuation of $162 billion. They have never reached that number again. In fact if anything, they have almost evaporated. Why is it that they had this fate? How can we avoid it? We’re going to explore and understand the answers to these questions. 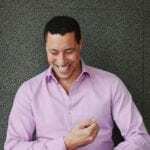 I want to get to the first question, which is why is it that when we know that we need to innovate, when you know that you need to innovate, when that is core to your business, why is this so difficult to actually innovate? In order to understand what it is that this new normal is driving towards, you have to understand why innovation actually is difficult despite the fact that everybody’s clamoring for it. There are lots of reasons why innovation is challenging. I want to focus on what I consider the single most important reason. We tend to believe that success comes from expertise and logic. If you think about, if you analyze things deeply enough, if you take a very rational approach to it or if you have deep expertise in something, you’re setting yourself up for success. That’s a flawed notion. What would happen if you think that logic is going to be your competitive advantage, the one thing that’s going to make you stand out from everybody else? It would mean that you have to assume that your competitors do not have access to logic. If it’s your competitive advantage, it’s the one thing that’s going to make us stand apart but they do. Every single one in this room can work through a logical analysis or something. That sets up a problem. I want to illustrate this issue right now. A favorite example of mine is from a professor at Harvard Business School named Yung Mi Moon, and it perfectly illustrates the point I want to make. Let’s imagine for a moment that you work for a car company, can be any car company, but I’m going to pick one completely at random considering my background, Volvo. Let’s imagine that you have a direct competitor. Let’s call it Audi. The course that you’re creating, you validate those courses along five dimensions: reliability, size, safety, design and miles per gallon. Three of these dimensions, you’re more or less the same as Audi but two of them are the major differences. You are crushing it when it comes to safety, but not so much when it comes to design. When you look at this graph, it should be immediately obvious to you what it is you should be focusing on because if you can improve safety, you should be able to crush Audi. Except Audi’s thinking the same way, so what did they improve? Safety. That’s when something interesting starts to happen because based on the fact that you are increasingly becoming like each other, you have a harder time innovating. The logical outcome of using logic to set yourself apart is you’re going to have exactly the same way everybody else’s, which is what makes different innovation very difficult. You may look at that and say, “What about expertise?” If I have deep expertise in something that I should be able to stand apart, I should be able to set myself apart. The reason we say this is because we see that this works all the time. Serena Williams, she’s one the most formidable tennis players who’s ever lived. She’s a perfect example that expertise is absolutely critical to reach success. She’s an example of a rule that got popularized about a couple of years ago by Malcolm Gladwell called the 10,000-Hour Rule. What the rule says is to follow you. If you want to become the best in the world at something, then you have to practice for 10,000 hours or more at that thing. The reason that rule works is because 10,000 hours is more hours than anybody else. She’s the perfect example of this rule. Serena can’t even remember having to live every single day of her life without having studied or practiced tennis. Her success is entirely logical, and it’s entirely based on expertise. There’s something weird about this rule because although it works perfectly for Serena, it doesn’t work for many other areas of business. For instance, how many hours of practice do you think Reed Hastings had in video rentals before starting Netflix? He rented a couple of movies, he didn’t like it, so he started Netflix. Take Richard Branson. He starts Virgin Records and then the next logical thing, Virgin Airlines. How many hours of practice do you think he had running an airline? That started with a lawyer. What’s going on? Why is this that for Serena Williams, the 10,000-Hour rule expertise perfectly predicts her ability to succeed, but for the rest of us it doesn’t? The reason why is because for Serena, the rules of the game never change. These are the measurements of a tennis court and they stay this way for 100 years. If the rules change, those rules are very slight and well telegraphed. It used to be in tennis that if you want it to serve a ball, you need to keep one foot on the ground and they changed that rule in the ‘60s. Now you are able to jump and serve. How can I be in this fast-moving world of tennis where the rules keep on changing all the time? Serena knows exactly what she needs to do to be successful. She just has to do better than everybody else. How does it work for the rest of us? New Normal: We tend to believe the success comes from expertise and logic, but that’s a flawed notion. The point is not to make fun of these people. The point is simply this. These people knew more about mobile phones to anybody else on the planet. If they could have figured out what the next logical move was supposed to be, who’s supposed to do it? Who do you turn to get the answer of what the future holds? The uncomfortable truth is that it is in the unexpected that we find the future. It is unexpected that makes us stand apart. The unexpected means that you’ve hit upon something that was not available to a logical or rational analysis, that was not available to obvious expertise. That’s the challenge for innovation because otherwise, it would just be easy. The unexpected happens in all kinds of different ways. Technology drives a lot of this, but it’s not just technology. It is behavioral change that’s opening up all kinds of opportunities. YouTube. There are a number of people in Silicon Valley here that slammed their heads against the wall when YouTube came out. Are you kidding me? You upload a video and then you watch the video, like, “That’s the whole idea. Why didn’t I think of that?” Even the founders of YouTube didn’t think of YouTube, YouTube started out as a dating site. The idea was you upload a video of yourself and then people vote whether or not they want to date you, which is an awful idea. One night, they filmed that dinner and I know they shared that movie. The third founder was trying to find a video of Janet Jackson’s wardrobe malfunction during the Super Bowl that year. They met up to say, “I’m trying to find a video, upload a video. Why don’t we do that?” That became YouTube. Eighteen months later, it later sold to Google. Some types of behavioral change. It used to be abnormal to step into a stranger’s car, but today it isn’t. This is a picture of a fishmonger place that is right around the corner of Brownstone in Brooklyn, Mermaids Garden. This is what you find when you walk in. When you buy a piece of fish that you know exactly who caught it, when they caught it, from a vessel they caught it, where they caught it, I didn’t used to care about this. Now it’s critical. These things all of a sudden, starts to matter. Brooklyn has all kinds of things that are happening around food, which is interesting. You’re not supposed to have a farm on the roof top, but you can. Now you can demand that you will have food from that farm. The entire world is becoming more unpredictable. That is what is happening and you can see it. You can see it in the average lifespan of companies on the SNP 500, which was dropping. The long-term trend is dropping. This has been going on for a long time. Half of the SNP 500 will be replaced in the next ten years. This particular prediction has been lasting and been proven true since they started making it in about 2008. What do you do about it? What can you do about this? What does this new normal mean for you? The first thing is always look for opportunities to change the rules of the game. You’re not playing tennis. I want to point this out because we often forget that we can do that. We usually take on a job because this is what’s been headed as the rules of the game had been established and we just want to operate within them. Why is it done this way? Because it is. There’s never been a better time to question the rules of the game of your industry. One of our clients that we’ve had for many years is Nike. If you think about the rules of the game of that industry, it works like this. Ultimately you produce your products, you distribute them, etc., but you need somebody to promote them and what you need to promote them is either an athlete or a team. You sign on an athlete or a team and you hope that this athlete or team is going to do well. Maybe you’re lucky you signed on Tiger Woods and it has dividends for years or you’re unlucky and you signed on Tiger Woods and it leads to issues. This is the semifinals in the College Football Championship League, all four teams, that made it to the semifinals was sponsored by Nike. This is incredible, but it’s a very expensive approach. Very impactful and they got her for less than a billion. Can you rewrite the rules of the game? Do you have to accept what others have said that this is how it plays your industry, in your field? No, you don’t. In fact, the best ideas will not come from the experts. This is something that’s interesting. What does it even mean to be an expert today? Let’s say that you’re an expert in retail. What does that mean? If I asked five experts in retail, “What will the future retail hold say over the next three years?” I get five separate answers. What does it mean to be an expert? Industry after industry, the forces of change are driving up uncertainty. It has remarkable implications. It allows people to really leave a mark that maybe couldn’t have previously. A number of years ago, a woman named Stephanie Meyer had a dream of a boy and a girl who were talking to each other in the meadow in the woods. It was talking about each other’s love. It was different type of discussion because the boy wanted to drink the girl’s blood because he was the vampire. When she woke up from this dream, it was so vivid. She sat down and she wrote out ten pages from this dream. Then over the next three months she kept on writing. She finished the story, she’s like, “I need to finish out this whole storyline.” When she finished it, she’s like, “The story’s done.” She didn’t send it anyway but her sister read it. Her sister insisted that she needs to send it to a number of agents, so she did. She sent it to fifteen agents, fourteen of them rejected her. One said yes, that was because the assistant of that agency impersonated her boss. That became Twilight. It became a whole book series, a whole movie series. It’s on The New York Times bestseller list for 120 weeks. I read it. I did it for science. She doesn’t know how to write. She says so herself, but it still enabled her. In the world that we are in today, you don’t have to be Serena Williams to be successful. You don’t have to have that skill. She had a story to tell, which she goes back over and over again. I wrote in The Click Moment that she may have been one of the worst writers set up in a New York Times bestseller list, which was true for one more year until this book came out. That’s the world that we’re in right now. If that is real and expertise matters less, how are you supposed to then develop new breakthrough idea? If you can’t logically do it and if you can’t rely on expertise per se to do it, if the world doesn’t operate like tennis, what are you supposed to do? In my first book, I addressed this. You search for ideas, you search for inspiration, you search for industries and cultures very different from your own because it is in that clash that you can create new breakthroughs. We have this hospital in Cambridge, UK, they have a challenge. When they’re looking to transfer patients from the surgical unit to the intensive care unit, you have two separate teams and they have issues coordinating with each other, communicating, which means that they have errors and those errors can be fatal. Now, you have an issue. How do you solve this problem? It’s a real issue. What is the obvious solution to this problem? The obvious solution is to look at how other hospitals solve this problem. What’s the best practices around this? But they didn’t. Instead they teamed up with McLaren, what happens at a pitstop and the pitstop crew in a Formula 1 car race. When they looked at it that way, the real lessons are connections between the pitstop crew and what happens in the hospital. If we can get ideas from this type of connection, we can improve and that’s what exactly they did. The errors started dropping dramatically and other pit stop model is one that is spreading in hospitals around the world. 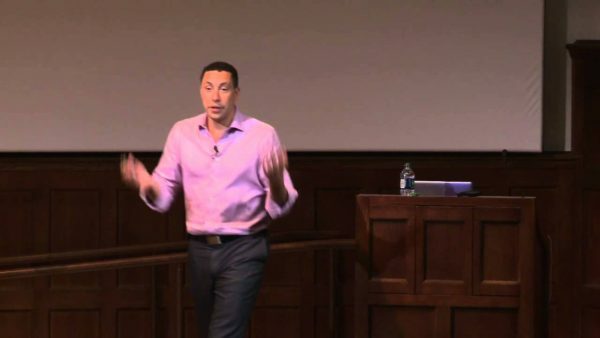 By introducing an unexpected element into your team, I talk a lot of the work that we’ve been doing at the Medici Group, has been around diversity and how that drives innovation. The power of ideation in this element is huge. Spent years perfecting a different approach based on the people that are in the team, based on the diversity of the people in the team, bringing insight from other fields, other functions, other cultures, other backgrounds. If you do that, you will develop new ideas. I believe that one of the most important things that leaders have to focus on today is to create options for organizational future. If you’re not able to perfectly predict where you need to head, it doesn’t mean that you still have to stake out a pathway, but which pathway is going to be correct? This is one of the challenges in the new normal we live in. You’re not sure, which means that part of your task is to create options for your organization. Can we go this way or that way? Which one of them will take off? Which one of them is going to make a big difference? You’re going to say you can sell the vision that is executing towards, but the specific pathways to make that happen are less predictable today than it’s ever been. It has always been true that those individuals or teams, organizations that break new ground, develop new ideas, the strongest correlation to innovative success, any category anywhere are the number of ideas that you create and try to make happen. It was true for Picasso, who made 50,000 works of art in his lifetime. It’s true for Einstein, who published over 240 papers in his career. They did so because in part, they weren’t sure what’s going to work. Picasso made 50,000 works of art but most of those works of art were collecting dust in basements around the world. Do you know why? Because they sucked. It’s true Picasso has probably made more sucky artwork than any other artist alive because he made far more art. It’s a notion that we become uncomfortable with, but it’s real. We see this playing out for companies today. Amazon starts as a bookstore, but where should it go from there where they can sell other things. They can also be fulfillment center to fill in those things. That’s a business that has taken off. They have web services, Netflix runs on Amazon. I mean they’re competitors there because Amazon also launched a video service and they have movies that they produce or production company, the Echo. They do all. They bought Whole Foods and then they lower prices. Create options for your organization’s future. Options, that’s the new normal. What does it mean to stay agile? It doesn’t just have to react quickly. It means that you already have anticipated that you will have to react quickly, so you have a number of things going. On top of that, you have to do with quickly. Speed is the new IP. This is a piece I come back to over and over again. You have to essentially move with an incredible speed. I was doing a discussion with Reid Hoffman, who’s the Founder of LinkedIn. We’re talking about the idea of blitz scaling and how incredibly important that has become in success today. Rapid growth matters more than ever before. Airbnb started out selling cereal boxes. It was like the cereal boxes of McCain and Obama. They sold that to various conventions. They didn’t have enough rooms and then they sold rooms by knocking on people’s doors and said, “We want to take pictures of your house.” One of the founders didn’t even have his own apartment, he just stayed at Airbnbs. New Normal: There’s never been a better time to question the rules of the game of your industry. Once they figured out to sort this product market fit, it’s just fueled by cash and the incredible liquidity that exists today means that once you have something that scales, there is nothing stopping it. The amount of cash available to fund something like that at a loss is incredible until you’ve captured whatever else you need from the market. Brian is one of the founders of Marriott. They want to add 30,000 rooms this year. We will add that in the next two weeks, those tweets a couple of years ago. Which will protect you more, your IP or your speed? I know the answer is, essentially generally speaking, it’s our IP that’s we pay all these lawyers, but increasingly IP only matters as long as you’re relevant. If you’re not relevant, nobody cares about that IP and the shelf life for relevance is shrinking. That’s why Elon Musk put out the patents. If you want to worry about what I did back then, go ahead because I’m going to be over there,” so do it. It’s a quote from him so outlined is you want to be innovating so fast that you invalidate your prior patents in terms of what matters. It’s the philosophy innovation that matters. You have to scale up, but you can’t do it until you figure out how to do it. This is the issue of large corporations because larger corporations think about executing ideas. They have an idea like that, they discussed with the team how should you do what you do it that way, and you’re like, “I’m going to do it that way.” That’s fine. He stood up. A goal in the schools were big, ambitious, and large because who wants to be associated with a tiny, puny, little, ridiculous goal. No one. That’s going to be your career, nothing. They execute on that goal using up your resources, not just money, but also reputation, one of the most important resources that you have. As you head down this path, you begin to realize that some of the assumptions you made were off. Maybe it didn’t work you than we expected it to, maybe the consumers didn’t respond the way you thought they would, and maybe a competitor beat you to the punch in a way that you didn’t predict. This is not the best goal, this is a much better goal. When you run out of money, maybe your reputation takes a little bit of a hit, making things on the down low. Occasionally, we can even get away with not acknowledging that this has happened at all. You just have these zombie projects that never failed but didn’t succeed either, no one has to take the blame. There’s got to be a better way of thinking about this and there is. This is a picture of an area in Northern Sweden, Jukkasjärvi. This picture sums up everything you need to know about this area. It’s cold up there, it snows a lot and it’s freaking freezing. Up there, a guy named Yngve Bergqvist just combined the notion of ice with the notion of a hotel and he created the ICEHOTEL. It’s a remarkable thing. Everything is made out of ice. The floor, the ceiling, the bed, the glass you drink from, everything. It’s Sweden’s largest tourist attractions, some 40,000 visitors a year. What happens in the summer? It melts. It pushes the ice back into the river from where they took. It is the ultimate recyclable hotel. You look at this and you go, “This is just brilliant. That’s amazing. This requires a genius.” You ask yourself, “Could I have ever have done this?” I want to show you why that question is not relevant. Here’s what he did, and I want to outline his pathway, not the one you would read in a neatly put together Boston Journal articles or something like that. The way it played out, like the blow-by-blow, the play-by-play like a docudrama with a requisite soundtrack. First, he flew some ice sculptures over from Japan and they created a little exhibit, an ice eagle, an ice reindeer. It’s neat. People came to it and looked at it and it’s like, “This is interesting,” but it wasn’t it. After that, it created a different structure. That was a building made out of snow and he hung paintings inside of this building and people came to it. It was interesting, but it wasn’t it either. The year after that, they created a building now made out of ice and in it, he had cool things, like an ice bar and a movie streaming out of snow. When he did that, some backpackers came and said, “This is cool and all, but we want an extreme experience.” He said, “What do you want?” “We want to sleep on ice?” “I have a lot of that over there. You can sleep on that for $200.” They did and they loved it. They raved about it. He simply said, “I’m going to make a building with ice beds on them,” aka the ICEHOTEL. Everything after that is pure history. It’s going into its 25th and 26th year. I want you to take a good long look at this pathway because this is the pathway that almost every single breakthrough idea, it looks like this. If you ask yourself the question, “Could I ever have done that?” It’s the wrong question to ask. The right question is, “Could I have done this? Could I have flown some ice sculptures over from Japan to create an ice eagle and ice reindeer?” There’s not a person in the room that could have done this and that, right there, is what I call the smallest executable step, an SCS. Instead of taking it and blowing it up, do the reverse, shrink it to try to understand if it matters. Does it have relevance? Move at the speed of light finding the right answer. When you do, scale it up, but until you’ve done it, you have no idea if this is what the market is looking for or what your consumers are looking for. Pay attention to surprises. If something has happened that didn’t fall within the plan, we often ignore it. It’s like an outlier. Surprise means that you’ve hit up on something that was not expected. Surprise means that something happened that was not logical. Surprise means that something happened that you didn’t plan for because if you’ve planned for it, you wouldn’t be surprised. You just do it. I consider a surprise to be a leading indicator of innovation because it means that you probably hit upon something new, something fresh, a new consumer reaction, a new partner reaction, a new risk, something that didn’t play out the way you expect. Pfizer used to be a midsize US pharmaceutical company in the mid ‘80s. They have a heart drug and it wasn’t very good. Despite that, many other test subjects kept on asking for more test samples of this drug. This was particularly true for the guys. At first, everyone was like, “Why? The drug isn’t very good.” “Yeah, but just give us some more test samples.” They started investigating, it turned out that this drug had a curious side effect that they hadn’t anticipated. It allowed these men to rise to the occasion. Pfizer said, “That’s interesting. I hadn’t expected that.” What they could have said is, “Yes but our focus is the heart drug, so let’s stay focused on that.” They didn’t and that became Viagra, one of the most successful drugs of all time. If you’re surprised, don’t put it to the side. Don’t ignore it. It is probably the best indicator you hit upon something new. 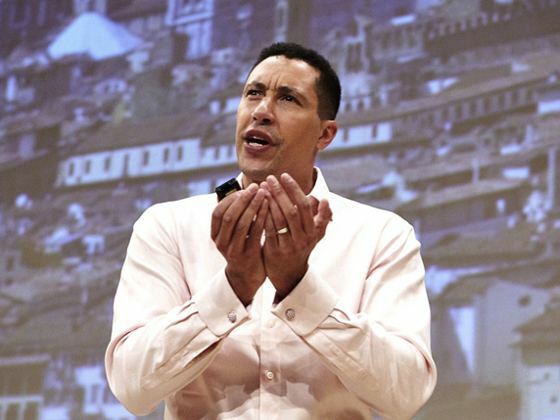 In the world that we’re living right now, unpredictability and unexpectedness is what’s going to be the new normal and your ability to capture that, your ability to capture serendipity, to encourage serendipity, to encourage the unexpected is going to be the key piece that’s going to help you be successful. The truth is that the world is moving in increasingly unexpected ways. You need to make sure that you can move with it. Thank you very much. I’ve lived all my life at what I call “the Intersection” (a concept from my first book, The Medici Effect). I was raised in Sweden by my African-American/Cherokee mother and Swedish father. I have written articles on sport fishing, technology, and environmental science. I have founded a software startup, a healthcare firm, a hedge fund, and now my current strategy consulting firm, The Medici Group. In addition to the two business books I’m known for–The Medici Effect and The Click Moment–I wrote a fantasy novel about (what else?) dragons when I was in high school. Through these many intersections in my life, I made many unexpected connections that have compelled me to try many, many things.